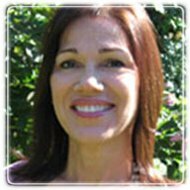 San Jose Therapist: Randi Fredricks, Ph.D. - Therapist 95125. Send A Message To Dr. Fredricks, Ph.D.. I have extensive clinical training and experience treating diverse issues including anxiety, depression, addiction, and codependency. My greatest teachers however, have been my client’s who have had the courage to share their personal stories with me as well as the intimate aspects of their lives. In my counseling sessions, I strive to create a safe environment where client’s can feel open to express their thoughts and feelings without judgment. I believe that although we are more similar than different, I realize that differences do exist and that everyone is unique. Consequently, I adapt my approach to each person while helping my clients achieve balance, stability and growth. In my practice, I specialize in addiction counseling, anxiety treatment, depression therapy, and marriage counseling. In addition to being a counselor and psychotherapist, I am a published researcher, best-selling author, and internationally recognized expert on natural healing in mental health. My first book, Healing & Wholeness: Complementary and Alternative Therapies for Mental Health, is used as a textbook on integrating natural medicine into counseling, psychotherapy, and psychology. My second book is a best-seller called Fasting: An Exceptional Human Experience is about the long history of fasting for medical, psychological, spiritual, and political reasons. I have been the lead researcher on a number of studies, two of which have been published: Communication Apprehension among Adult Children of Alcoholics and An Exploratory Study of the Effects of Water Fasting for Depression. I received my journalism training from Santa Clara University. This website and my many other websites contain hundreds of articles from my books, research, and newsletter. In order to satisfy my creative side, I have designed and created all my websites since 1998. In addition to my formal education, I have certifications as a Hypnotherapist, Master Practitioner and Health Practitioner of Neuro Linguistic Programming, Clinical Nutritionist, and Clinical Herbalist. I also have a Doctorate in Naturopathy and am an internationally recognized expert in alternative medicine and mental health. However, if you need referrals for medication, I can provide you with the names of a qualified professionals, such as a psychiatrist. I am also a Registered Addiction Specialist and as a State of California-approved Certified Addictions Treatment Counselor. I have worked in addiction counseling for over 30 years and still consider it one of my specialties and am passionate about helping people and families affected by addiction.